A killer of a mid 70s album from Hector Lavoe – recording here as a solo act after his split from the Willie Colon group, but still with strong backings and musical supervision from Willie himself! 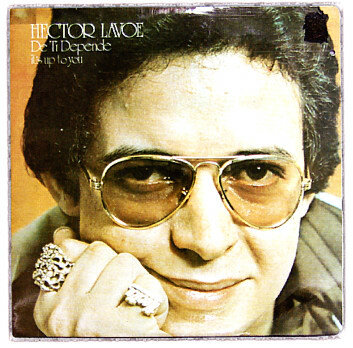 The style here is very similar to the last few albums Lavoe recorded with Colon – a brilliantly bouyant mix of samba and soul, carried off with increasing sophistication few might have expected from the pair's early years, and a depth of feeling that clearly made Hector one of the most important Latin singers of the 70s. Titles include "Tanto Como Ayer", "Vamos A Reir Un Poco", "Consejo De Oro", "De Ti Depende", and "Mentira". © 1996-2019, Dusty Groove, Inc.